From L to R: Members of the Poco Loco team Tom Kennedy, Jake Clark, Dan Haynes, Monique Haynes and Sandy Mckay get set for the Teakle Classic Adelaide-Lincoln. ‘A little bit crazy’ is the Spanish translation for Poco Loco, the name of Dan Haynes’ 30-foot racing yacht that neatly describes him and his crew. 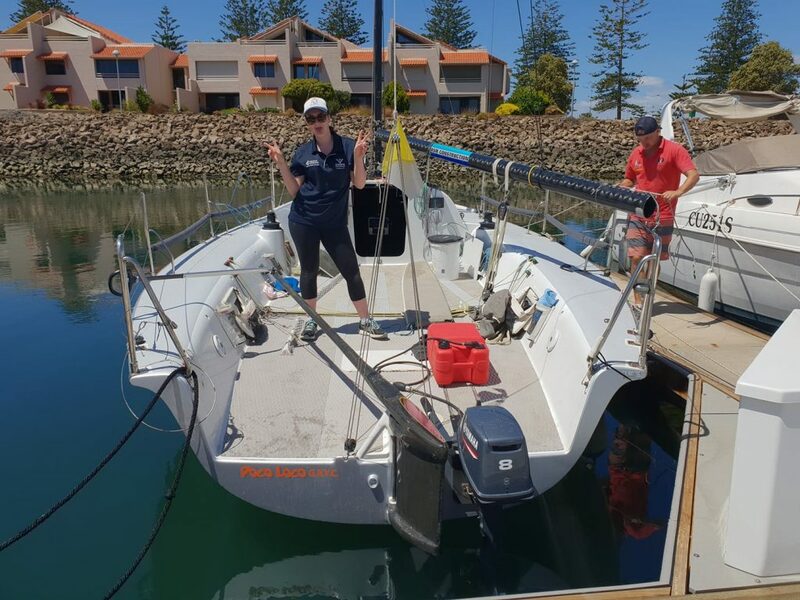 Skipper Haynes and his seven crew are getting set for the boat’s first offshore race, the 156 nautical mile Teakle Classic Adelaide to Port Lincoln Yacht Race – South Australia’s premier sailing event. Poco Loco sending it during last year’s Airlie Beach Race Week. While Poco Loco is smaller boat than it’s counterparts, Haynes is confident he has the team and the conditions to bring it to the bigger boats in the fleet and challenge for the overall victory. “It’s the little boat that could, and it is built for all out speed,” the Goolwa Regatta Yacht Club sailor said. 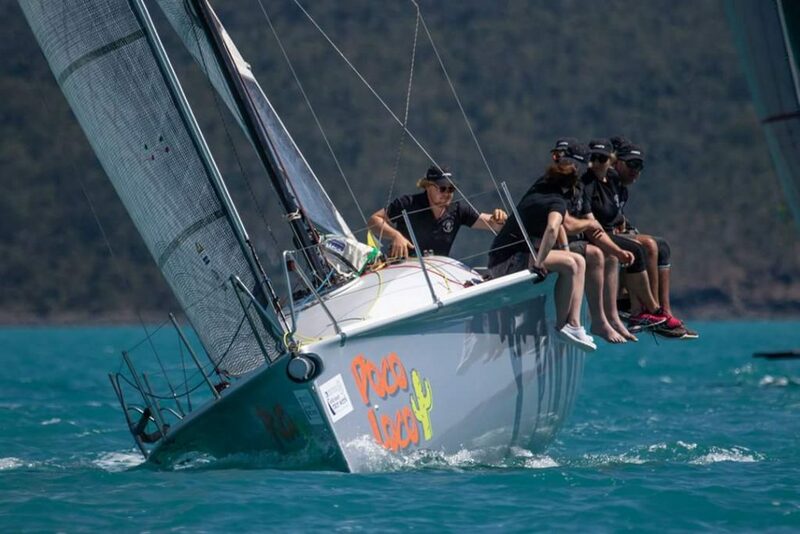 Poco Loco racing at Airlie Beach Race Week in 2018. It will be the first offshore race for the high performance Thompson 920, which has had to work hard to be cleared on safety requirements for the race, as the crew get set for what is expected to be a wetter and wilder ride than the rest of the fleet. Poco Loco at the Cruising Yacht Club of South Australia ahead of the race to Port Lincoln. “The state needs more loose units to do these sorts of races – people willing to sail hard and fly by the seat of their pants to win,” Haynes said. The boat has undergone some work ahead of its first offshore race. The 42-boat fleet includes some of the nation’s best sailors, with reigning race champion Geoff Boettcher on Secret Mens Business, and 2017 Rolex Sydney Hobart champion Matt Allen on Ichi Ban expected to do well. The pointy end of the fleet is one of the best seen in years, which will put the battle for line honours well and truly on the table as three evenly-matched 52-footers all look to arrive in Port Lincoln first. The race starts at 3pm today with the first finishers expected in Port Lincoln at about sunrise tomorrow morning.